Pests Infestation Inside Your Fridge | Here's What To Do! Sadly, you can still get a pest infestation in your fridge and that’s bad. 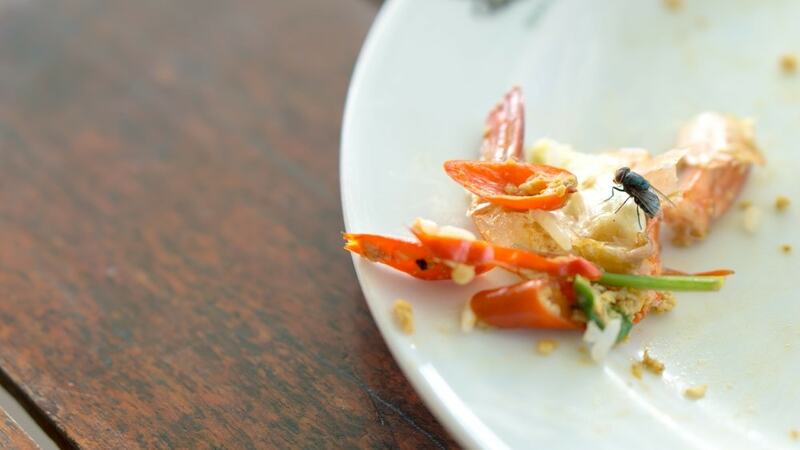 Those bugs carry diseases that end up crawling and eating your food, and potentially you and your family consuming contaminated food. What bugs can be found inside your refrigerator? How you got pests in your fridge? How to clean your refrigerator from a pest infestation? That’s why you have to deal with refrigerator infestations as soon as they’re noticed. While fridges and freezers are mostly safe from vermins, they aren’t 100% pest proof. The only thing that makes fridge pest infestations uncommon is the fact that most pests avoid colder climates. This doesn’t mean there are no common household pests that can’t infest your fridge. In fact, all of the infesting pests are brought in either with produce or because the food in the fridge isn’t frequently revised and cleaned. Flies are everywhere, especially when it’s hot outside. 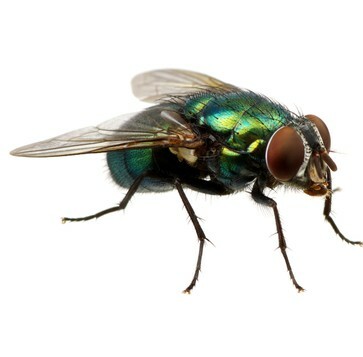 It’s pretty common to see a housefly inside, but the little flying insects can find their way in your fridge. The best thing about flies is that they won’t lay their eggs in the fridge as it’s too cold. This doesn’t mean that they won’t cross contaminate your food by walking all over it. If you store your fresh fruits inside in your fridge, then there’s a big chance to get a fruit fly infestation. While it’s easily preventable, just wash your fruits before storing them in your fridge, fruit flies can be a nuisance bug. 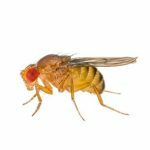 Just like normal flies, fruit flies can cross contaminate your food. 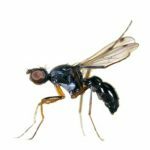 While the lifespan of gnats is around seven days, you wouldn’t want them even for a second in your fridge. If you have gnats inside your fridge, they’ve most likely come from some vegetable that you’ve put in recently. Wash all organic food under the tap and open the doors of the fridge, to let the gnats out. While roaches most likely would’ve found their way from the outside of your fridge, you’d want to deal with them immediately. 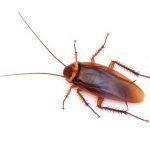 A cockroach infestation can become a huge problem very fast, if you start noticing roaches roaming in your fridge, then you may already have a big problem on your hands. They can also cross contaminate. Most of the time vermins would find their way in your fridge by accident. Pests would usually be in organic matter. Meats and packaged foods are generally pest free. Sometimes you may get them inside your fridge while you’re looking for something. They would crawl up, or fly in, without you even noticing. If you’re renting, pests may have even found their way inside the fridge when it wasn’t used. This would mean that the problem has been present for much longer than you’re thinking and they may be even between the walls of the fridge, and not only in the cold department. If that’s the case, we would suggest throwing it out and replacing it with a new unit. If you think there’s a chance of removing the pests, as they haven’t settled in your fridge, then your best bet is to clean it thoroughly. Remove all of the food that’s in your fridge. If you haven’t cleaned old food for a while now, this would be the perfect opportunity to do so. This may be a way to find the source of the infestation as well. Go through all your food, check the expiration date on the label, etc. Make sure to thoroughly clean any organic food like veggies and fruits, Also, remove any spoiled food. Make sure you remove everything from the freezer as well. Unplug your fridge from the wall. This would begin a defrosting process, which would make it much easier when you have to clean the walls inside the refrigerator. It’s also good for the fridge, as with years of usage ice tends to build up, which makes the fridge less efficient in keeping the temperatures cool, and it uses more electricity to do so. Remove the drawers and shelves from the fridge and set them aside. When you unplugged the fridge, a defrosting process has started, meaning the ice should be much easier to scrape and there even maybe a little bubble on the bottom of the fridge. With the use of a scraper remove the leftover ice from the walls. If this hasn’t been done in years you may have a lot to remove. Get yourself a bucket and a sponge in order to mop the water that will begin dripping from the walls of the fridge. Make sure you’re working quickly, as the freezer is defrosting as well, and the amount of water that will come out of there is much bigger than what’s inside the fridge. We recommend keeping the door of the freezer closed, as the ice inside will keep the temperatures cooler for longer. Once you’ve cleaned everything inside the fridge you can clean the drawers and the shelves too. Most often they’re made out of glass and plastic. This makes them perfect to be washed under the sink with dishwashing liquid. Dry them with a towel to remove the water stains and place them in the fridge. By this time you shouldn’t have any bugs present. You’ve removed any spoiled food, everything is clean, things should be looking good. Plug in your refrigerator and place the good food inside. If you have a freezer make sure you place any frozen things inside as well. If you had stored meat in the freezer and the meat has defrosted throw it away. You should never eat meat that has been frozen more than once. There is only one way to prevent bugs from crawling in your fridge. Before you store any organic food, make sure you wash it under the sink. Cleaning it with tap water will remove any insects that you can’t see. You’ll be placing clean food in your fridge. Unfortunately, there is no way you can conduct pest control inside of your fridge. Pesticides can be dangerous to your health, and you can have a huge health problem if you decide to DIY pest control in your fridge. If the problem persists, we would advise to replace your refrigerator and call a professional pest controller to inspect your property as the problem may be coming from another place. Find a professional to take care of pest problems. Fantastic Services is your one-stop shop for 25+ professional home cleaning and maintenance services, provided within the AUS. Using high-grade equipment that is inaccessible to everyday households, the dedicated service specialists will gladly go the extra mile to turn your home or office into something truly special.